The beautiful and graceful sport of figure skating is often fraught with intrigue and affairs that extend beyond the ice, making athletes not only change their training partners, but sometimes their whole families. The world’s most-decorated figure skater Irina Rodnina still remains the only athlete to win three Olympic titles with two different partners. Rodnina’s victorious ascension to the top of figure skating began in 1966, when she teamed up with Alexei Ulanov. Back then, the dominant positions in pairs skating were occupied by legendary Soviet couple Ludmila Belousova and Oleg Protopopov, who were victorious at a number of World and Olympic championships. Three years later, Rodnina and Ulanov rose to prominence at the 1969 European Championship, where they managed to overtake the seemingly unbeatable Belousova and Protopopov. After that, the couple won all the major figure-skating events, including the 1972 Olympics in Sapporo, Japan. Despite their impressive string of victories, relations between the pair became very strained, with scandals and quarrels constantly arising at their training sessions. The reason for their conflict was another Soviet athlete, Ludmila Smirnova, with whom Ulanov desperately wanted to skate. The couple broke up in 1972, following the World Championship at which Rodnina and Ulanov grabbed yet another gold. Ulanov paired up with Smirnova, while Rodnina – who had thought about retirement – started cooperating with Alexander Zaitsev. The newly emerged couples faced each other at the 1973 European Championship, where Rodnina outscored her former partner and won gold together with Zaitsev. The couple’s cooperation on the ice evolved into a love affair and, in 1975, the skaters married. 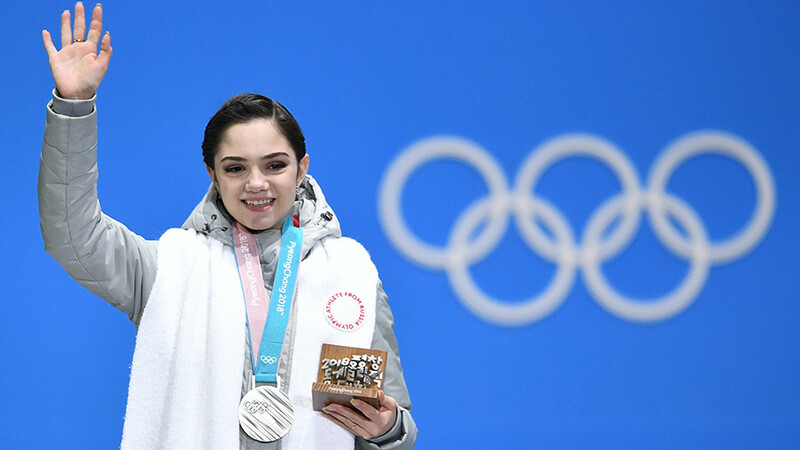 Their triumphant path was extended for a long period during which the skaters claimed victories at two consecutive Olympic tournaments. Rodnina entered the Guinness Book of World Records after not losing any competition from 1969 to 1980. 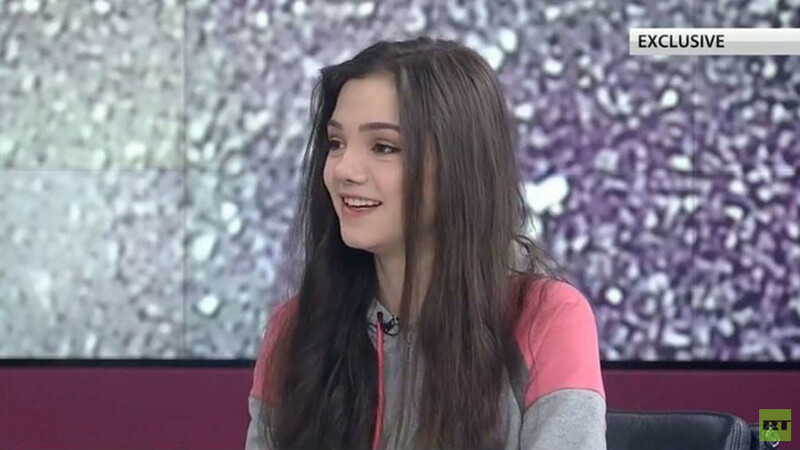 2014 Olympic bronze medalists Elena Ilyinykh and Nikita Katsalapov were widely considered to be the most promising ice-dancing duo from Russia. After the Sochi Games, the majority of figure-skating pundits were pinning their hopes on the pair, who should have set the pace in ice-dancing after the retirement of two world-leading duets from Canada and the USA. However, this was not meant to be. After the World Championship in Japan, where the couple unexpectedly missed the podium, Katsalapov announced a breakup with Ilyinykh. Ilyinykh’s infatuation with the duo’s coach Nikolai Morozov was rumored to be the main reason for the split. Katsalapov, who had a love affair with Ilyinykh, exited the love triangle by splitting with his partner. Both athletes attempted to skate with new teammates, but their results were a fry cry from the Olympic success in Sochi. The 2002 Olympic champion Alexei Yagudin was among Russia’s most-eligible bachelors until 2007, when he met pop-singer Alexandra Savelyeva at a Russian figure-skating show. At first, the member of the well-known Fabrika group ignored Yagudin’s advances, but later surrendered, plunging into a romantic affair with the skater. However, nine months later, the love story of Yagudin and Savelyeva ended, despite rumors of an upcoming marriage. The couple confirmed the termination of their relationship, citing busy working schedules among the reasons that led to the breakup. Several months later, the figure-skating star was spotted together with the 2006 Olympic gold medalist Tatiana Totmianina, confirming rumors that another woman had been behind his separation with Savelyeva. In 2009, the couple welcomed their first child, Elizaveta, and six years later Totmianina gave birth to their second daughter, Michelle. In 2016, after more than nine years together, the skaters married in Russian city of Krasnoyarsk. Russian figure skater Oksana Domnina and actor Vladimir Yaglych got acquainted at the Ice Age figure-skating show in 2013. Neither were single at that time – Yaglych was married to actress Svetlana Svetlana Khodchenkova, while Domnina lived with figure-skating Olympic champion Roman Kostomarov, with whom she had a daughter. After skating together in the show, the couple realized that their partnership went beyond the ice and they had developed feelings for each other. Enchanted by passion, they took first place in the TV show and soon announced that they were dating. Their love affair lasted for several months, but then Domnina and Yaglych decided to separate their ways. Domnina returned to Kostomarov, who proposed to the mother of his child. 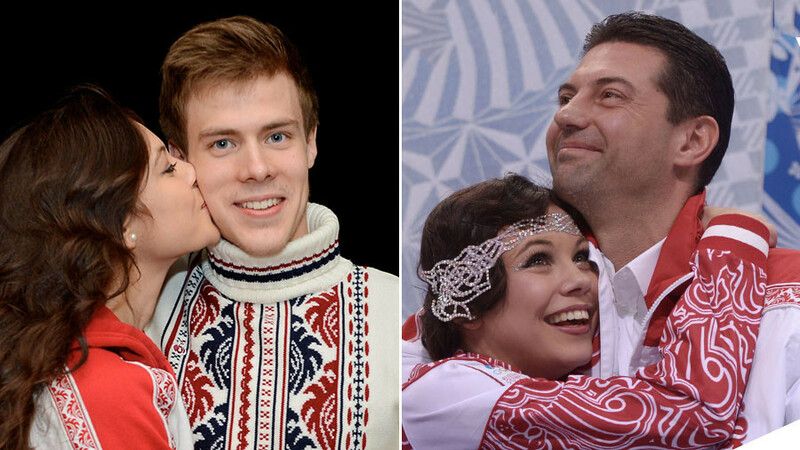 In 2014, the pair married, and two years later Domnina gave birth to their son, Ilya.